Q: I wanna add my favorite DVD movies to iTunes library for enjoyment, but it doesn’t support DVD format. How can I put DVDs to iTunes? Help, please. A: Well, you need a DVD ripper to convert these DVD movies to other format that iTunes supports, and then import converted DVD movies to iTunes library for sharing. 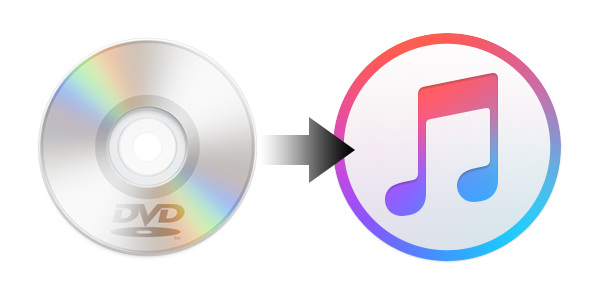 In this tutorial, we will show you how to rip and add DVD movies to iTunes library. 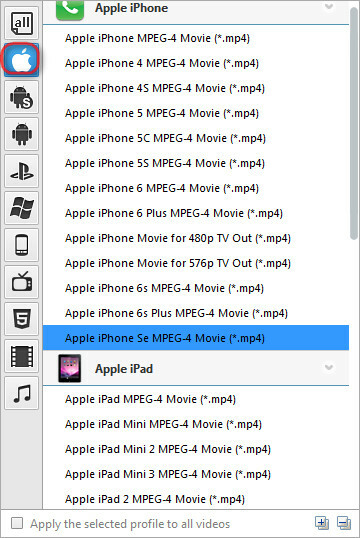 iTunes incompatible video formats FLV, MPG, WMV, 3GP, AVI, MKV, TS, RM, DivX, MXF, TRP, MOD, MPEG, 3G2, OGV, VRO, MTS, 3GPP, etc. Any Video Converter Ultimate can do you a favor to import incompatible videos or DVD files to iTunes library, which enables you to convert DVDs & CDs & videos to 200+ formats including WMV, MPG, MP4, AVI, ASF, M2TS, 3GP, 3G2, FLV, MKV, SWF, WEBM, OGV, HTML5 WEBM, HTML5 OGG, HTML MP4, MOV ,etc. Simply download and install this DVD movies to iTunes Ripper to get started. Step 1. 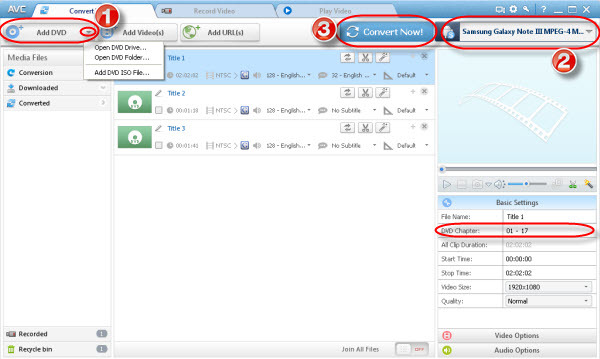 Click "Add DVD" button to add DVD/DVD folder/DVD ISO file. Step 2. Choose certain output format from the drop-down list. Note: to add converted DVD movies to iTunes library, we recommend you to set the output video as iOS-friendly format. You can select "Apple iPhone", "Apple iPad" or "Apple iPod" category from the drop-down "Profile" list. Step 3. Click "Convert Now" Button to start conversion. Step 4. Transfer the converted DVD movies to iTunes library. Launch iTunes, and click "File" > "Add File to iTunes" to import the converted videos to iTunes. Tips: to enjoy more iTunes videos, you can go to this post: How to Convert iTunes DRM Protected M4V Video.